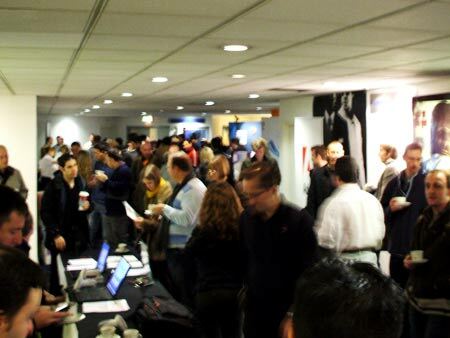 I had a bit of a change of scenery yesterday and went to the Adobe CS3 Creative License Tour which has been making it’s way around the UK over the last month. 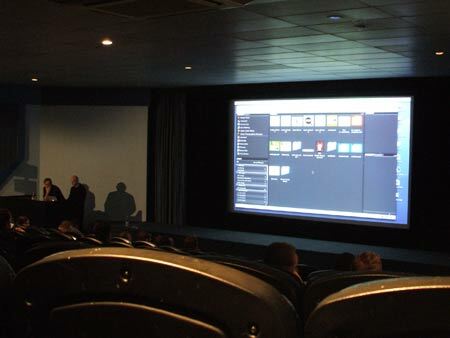 Despite the fact that Creative Suite 3 has been released for 6 months already, it provided a great insight into some of the new features of Photoshop, Flash and Dreamweaver amongst others with some well presented shows on the big screen at the local cinema. However, there were many other sessions to choose from, each tailored to either the designer, videographer, web designer or developer. The sessions themselves were very well presented by the speakers, and despite a couple of microphone problems the use of the huge projected cinema screen made the live screencasts great for checking out the new features of the software packages. Fireworks for exporting images for web. 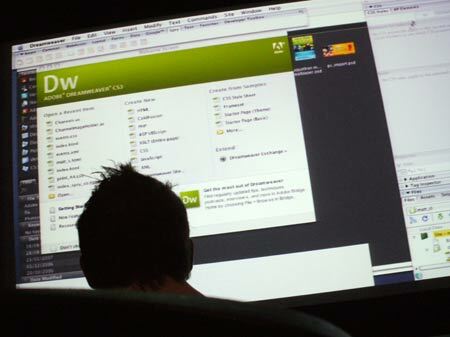 After a show of hands distinguishing Photoshop and Fireworks users (with the majority being PS) an example of the Save for Web feature was presented by the speaker in each application. The outcome was that the Fireworks file was much smaller than Photoshop’s Save For Web, using the same 80% quality setting for each. He went on to explain that this was because Fireworks was designed specifically for the web, whilst Photoshop was used for multiple applications, however I have to disagree – True, Photoshop is great for saving for print and other uses as well as the web, but when the user selects the ‘Save for Web and Devices’ option, surely it is obvious that in that scenario they are looking for the smallest filesize to optimise the file for web use? Why not build in the Fireworks engine into Photoshop to allow for this exceptional compression without having to switch applications? Another useful point was the Selective Compression settings in Fireworks, allowing one area of an image to be compressed at a different setting to the rest, enabling a fine balance between filesize and overall quality. Again, it would be nice to see such a feature in Photoshop rather than switching packages for exporting artwork. Dreamweaver’s New Preview for Mobile and Preview for Print. 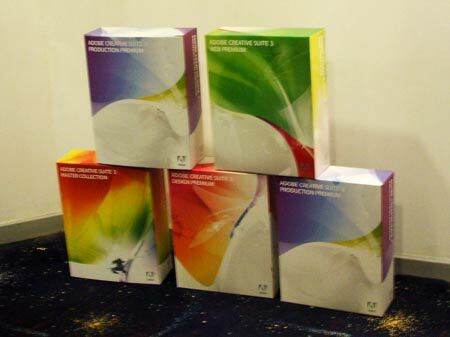 One feature that stood out for me personally was the new preview abilities in Dreamweaver CS3, allowing the designer not only to preview a website for web use, but also see what it will look like on a mobile device (with a selection of current phone models available) and when printed using the print CSS file. Very useful. A second feature that looked particularly useful was the new Spry framework, I can’t really explain more than that as most of the coding talk went straight over my head but the examples the second speaker gave on the new tools for Web Developers looked quite interesting! Check out the Adobe website for more info. After experiencing the problem of importing PSD and AI/EPS images into Flash many times in the past, the presentation of the new features of Flash CS3 were enlightening. Flash now supports Photoshop and Illustrator files and even allows the files to be edited within the application, maintaining effects such as gradients etc. The speaker himself said that these were the two mostly requested features for the new addition and were happy to announce them. It’s a shame my Flash use isn’t as much as it used to be but I’m sure these new features will come in very handy. When in Fullscreen mode (tab), you can hover over where the toolbars are hidden to toggle their display instead of switching in and out of fullscreen mode. Simple, but very important to increase workflow. Smart Filters – You will have probably used Layer Styles within Photoshop, well now you have the same control over Filters you apply to a layer (Gaussian Blur etc), allowing you to go back and adjust these filters after they have been applied. No more multiple layers! Auto-Merge and Auto-Blend – Great tools for stitching multiple photos seamlessly, also renders the stitched image according to the light sources of the images. The example shown for the Auto-Blend feature was really impressive, a video of the Golden Gate Bridge with traffic was imported as frames; with the Auto-Blend option selected, Photoshop managed to remove all of the cars from the bridge leaving an almost perfect empty road. This feature also looked very useful for cleaning up photos in general, by greatly reducing the close up pixelation of the image. A feature that has already seen a tutorial written for it over at PSDTuts is the Vanishing Point tool, allowing a super quick technique of placing an object into persective on a number of planes, great for mocking up examples of packaging etc. Finally, a feature that could provide some interesting portfolio showcases; Zoomify is now integrated into the export menu of Photoshop! So, there you go, a quick overview of the new features of some of the CS3 products that stood out to me personally. Well, they’re probably not new anymore seeing as CS3 was released 6 months ago, but maybe you will have picked up some ideas for testing these features in your own CS3 packages, or have been given a small insight into what is available in the upgrade from CS2. I have also heard before that Fireworks does a better job at exporting images for the web. Kind of a bummer, I can’t see switching to Fireworks just for that. 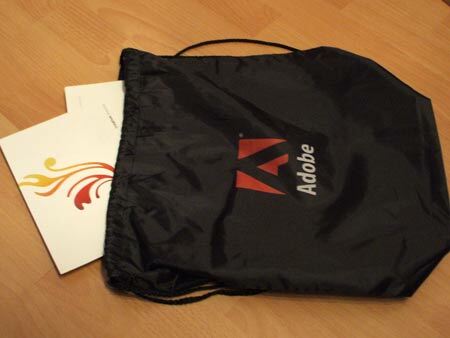 Since Adobe owns both now, they really should incorporate that power into Photoshop.